It’s kind of funny how this started airing on July 4th…how fitting for a tv series about one of China’s greatest patriots….har har….? Look at this hero walk. I knew I always had a thing for men in uniform but dayum. Serious Huang Xiao Ming is baaaaack. There’s something really perfect about this shot. And his face. This entry was posted in Chinese Dramas, Culture, Drama Recaps/Reviews, History and tagged 精忠岳飞, Huang Xiao Ming, Jing Zhong Yue Fei, Ruby Lin. Bookmark the permalink. The ending of this drama is disappointing looks like there is a continue. Is there part 2? No its likely not going to happen. 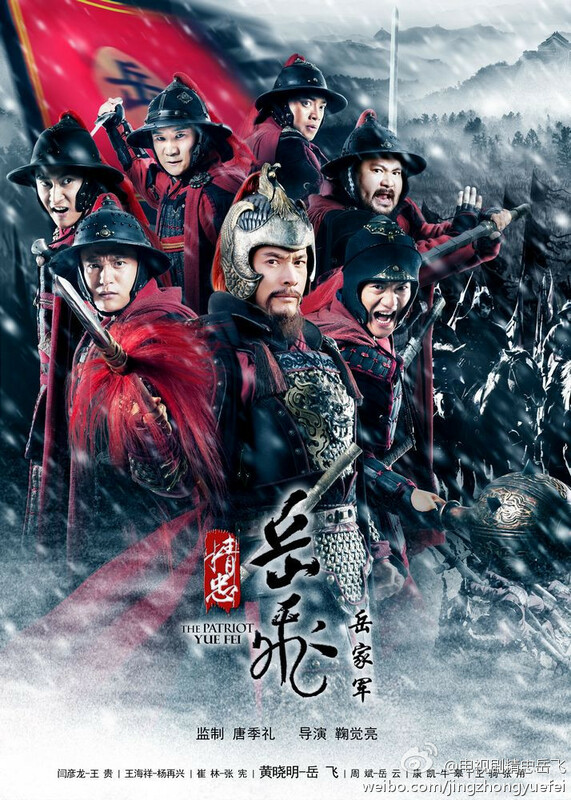 Its based on history so not sure how they’re going to continue that part.unless they make one about the fall of the song dynasty which happens 1 century later I think. Many thanks for your efforts in providing ep. summaries of the series. That takes so much time!! What do you think of the series so far? I have read about your summaries up to around episode 8. You are doing a great job!! (a) There are some actors in the series that I dread seeing. The actors for (1) “Commander Du”, the commander who will defect and serve the Jins later. He is not good at portraying a villain. He looks like he is trying very hard to act like a villain and to appear pathetic. Chen JianBin as Cao Cao or the actor who portrayed Yu Wanting in Book and Sword etc. are much better villains (2) the actor who portrays Yue Fei’s uncle has similar problems. Unconvincing. It’s hard to have good portrayals of sad-bucket villains? (3) I find Allen Ting’s performance spotty as well. He seemed much better at being Hu Ge’s heroic brother in The Myth series (though that series’ plot was very messy). He can’t appear maniacal convincingly. (b) I wish this series wouldn’t spend so much time on the more pathetic characters; e.g., the weak helpless leaders. A quicker capture of their roles would have been nicer. (c) the material gets harder and harder to watch as the nice characters keep having miserable and gory endings. One has to watch ROCH after finishing this series to avoid getting depressed? I didn’t like the camera work and editing at first. But I got used to it after a while. There are some very nice battle scenes. Was this series filmed in Hengdian (Studio)? Aw thanks! I’ve been a little disappointed in this drama so far. It’s not as entertaining or gripping as I thought (hoped) it would be. However, when I think that it’s a biopic and not just the average drama, I understand that I won’t enjoy all of it. I guess I should be thankful that I appreciate 45% of the scenes, at least. I agree with your points, except maybe I’m appreciating Allen Ting’s performance a tad more. But you also sound like you’re farther ahead in your watching so I’ll have to wait and see. Speaking of the camera work, I remembered that I really didn’t like the shots. In comparison to the Korean dramas I’ve been watching lately…Patriot Yue Fei is a little lacking.